This Breather boasts lofted ceilings, walls of windows and brick aesthetics. 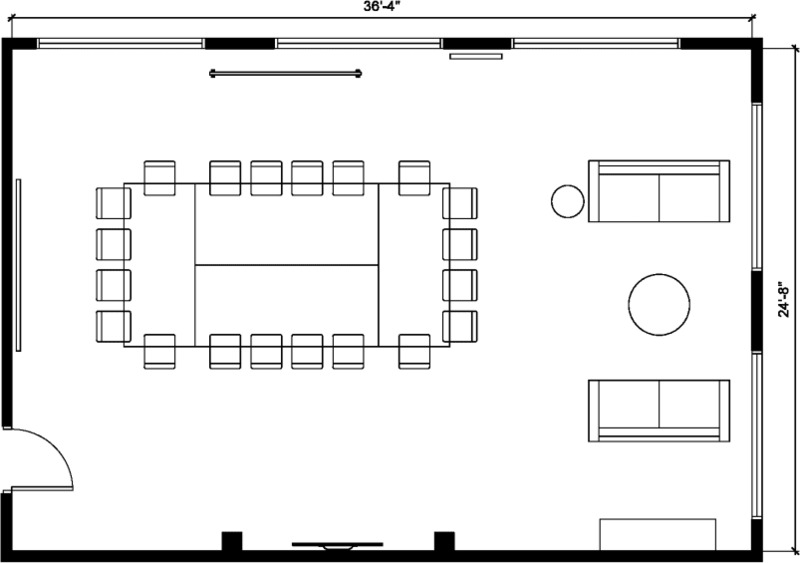 The open floor plan makes it the perfect space for a team meetup, workshop, off-site or event space. Need even more space? There's 2 other Breather suites in this hallway that can also be rented for additional meeting areas. There is intermittent construction taking place near 594 Howard Street that may cause noise disruptions. The elevator at this location operates between the hours of 8am-5pm. Do not hold open building door open as it will sound the alarm. The minimum reservation length for this location is 3 hours.